Scott's Web Log: Is Lantus Really What Type 2 Patients Should Hope For? Is Lantus Really What Type 2 Patients Should Hope For? For many of us with type 1 diabetes, we view television commercials for insulin as kind of a joke, and a sad one at that. 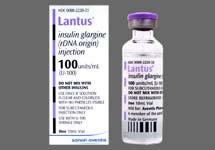 But recently, pharmaceutical company Sanofi Aventis has stepped up its direct-to-consumer (DTC) promotion for its blockbuster insulin analog Lantus with a series of new television commercials featuring the tagline "Insulin: Its Not What You Think. It's What You Hope For." Sean Moloney (of Dramatic Health, Inc. of New York City, which produced several patient vignettes for the Lantus insulin brand) and Senior product manager of Diabetes Consumer Care for Sanofi Aventis, Lynn Crowe, co-presented the GoInsulin Campaign at DTC National's "True Innovations in DTC" on October 25, 2007. The vignettes are supposed to "inform and motivate" audiences through high-impact, real-life, narrative episodes. In developing its "GoInsulin" campaign around a series of patient vignettes, the key was to use real patients with real stories, and not with "a scripted [and] complicated long-length video," according to Lynn Crowe at Sanofi-Aventis. The success of the online video campaign is rooted in the fact that the marketing team found "patients who really represented the struggle," she added. Sanofi's Lantus faces increasing competition from Novo Nordisk's Levemir product, and Novo has a slight advantage in that it's on the formularies of more healthcare plans than any other insulin brand. The new Lantus commercials are clearly aimed it the vast type 2 audience and aims to encourage more people with type 2 to start using insulin (which is a mistake by itself, as I noted when Pfizer's Exubera imploded, no company can hope to be successful in the insulin market if they ignore the type 1 market, as they constitute 75% of the buyers according to the CDC). While many people question whether a basal insulin alone provides sufficient glycemic control, the reason it is so popular is because its relatively easy for doctors to prescribe -- they simply instruct patients to dose a specific amount at the same time each day, and that's about it. Nevertheless, the web site focuses on what they call "The Importance of Insulin" and "Insulin Facts and Realities". 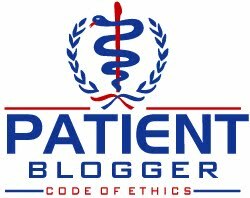 The site features patient vignettes to help explain that taking insulin doesn't mean that a patient with type 2 diabetes has failed at treating their diabetes, and that it might be just what they might need to do to control their Hemoglobin A1C levels. While not stated, they imply that insulin should be viewed as a first-line treatment for type 2 diabetes. Myth: Insulin should be considered as a last option for treating diabetes. Reality: Your guide should be your A1C level. If it is above the American Diabetes Association (ADA) recommended level of less than 7%, or the goal your doctor set for you, don't wait to take action and ask your doctor about insulin. In fact, one approach recommended by the 2006 ADA guidelines suggests that patients add insulin earlier if diet, exercise, and pills do not provide sufficient control. Insulin does not have to be the last option you and your doctor consider. Unfortunately, the reality is a little more complex than that, and the company has also chosen to disclose only those statements which fit into the company's marketing plan for Lantus by "selective disclosure of the truth". But a high A1C level does not necessarily mean insulin is appropriate for someone with type 2 diabetes. In fact, many people with type 2 diabetes have the complete opposite problem: they have far too much insulin circulating in their bloodstream which is caused by insulin resistance. As a result, adding more insulin to this situation is not, as Sanofi Aventis suggests, "What You Hope For". And while I normally concur with author James S. Hirsch's logic on many points, I'm afraid I must disagree with his statement "Thus, the goal of every type 2 patient should be to live long enough to require insulin." (I also disagree with his assertion that "the product [insulin] is purer and better than ever before" as highly-refined animal insulin attained a purity level of 99% vs. only 97% for synthetic insulin -- including all analogs). That is a vast over-simplification of what is a far more complex disease. In Type 2 diabetes, excessive insulin can actually contribute to a host of problems, and may in fact, aggravate the core problem of insulin resistance. The evidence is compelling that when insulin levels are high, certain tissues are overloaded with fatty molecules, which leads to insulin resistance. In an attempt to overpower the insulin resistance, many patients with type 2 diabetes are prescribed insulin, some even using concentrations of U-500 (vs. the worldwide standard of U-100). Although high doses of insulin may lower glucose levels, it will also increase the fatty molecules and may cause organ damage. Doctors should approach the insulin question with a more scientific approach. In fact, a simple blood test can help demonstrate whether insulin is really necessary in patients with type 2 diabetes, and that is the vastly underutilized C-Peptide test which shows how much endogenous insulin production exists. A very high C-Peptide test result would suggest that insulin is probably not appropriate for someone with type 2 diabetes, and that other therapeutic approaches should be taken first. Hirsch does make a more compelling argument later in his article when he writes that healthcare providers play a big role, including some blame. For example, some doctors threaten patients that they will have to start insulin shots unless they lose weight. He also writes that "At minimum healthcare providers need to be taught how to use it [insulin]. Many in training don't even know what it [insulin] looks like." But the bigger question is how appropriate are the new Lantus television commercials? I think these commercials are misleading and contain some factually misrepresentative information. Furthermore, encouraging more insulin use among many patients with type 2 diabetes is a recipe for worse health in many of them. In a commentary in the March 12, 2008 issue of The Journal of the American Medical Association (JAMA), Dr. Roger Unger, professor of internal medicine at University of Texas (UT) Southwestern Medical Center, wrote about the recent findings of his own and other labs that link insulin resistance to excess accumulation of fatty molecules in liver and muscle. Dr. Unger, who has investigated type 2 diabetes, obesity and insulin resistance for more than 50 years said that intensive insulin therapy is contraindicated (in other words, inadvisable) for many obese patients with insulin-resistant type 2 diabetes because the treatment actually increases the fatty acids that contribute to their diabetes. Instead, he argues that the most rational therapy eliminates excess calories, thereby reducing the amount of insulin in the blood and the synthesis of the fatty acids stimulated by the high levels of insulin. Giving more insulin simply channels the glucose into fat production, thus increasing body fat. In addition, there is now a spectrum of therapies to treat type 2 diabetes by addressing insulin resistance, and some even help in reducing excess body fat. Insulin treatment would be indicated only if all these approaches fail. "Today there are many treatment options, including bariatric surgery, if necessary, to lower the fat content in the body before you start giving insulin," Dr. Unger said. "The fat is causing insulin resistance and killing the insulin-producing beta cells in the pancreas that is what is causing type 2 diabetes." Dr. Unger did say that insulin should be given to patients with insulin deficiency, but not if the insulin levels are already very high but ineffective. "Giving more insulin to an insulin-resistant patient is akin to raising the blood pressure of a patient with high blood pressure to overcome resistance to blood flow. Instead, you would try to reduce the resistance," he said. The big issue for many Type 2s, is that while they are insulin resistant, they are often insulin resistant because they have a fasting bg of 225 mg/dl. Blood sugars that high create insulin resistance, and lowering fasting bg with insulin can restore better insulin response. I don't think that there's any chance that the advertising will drive Type 2s to ask for insulin. If anything, I hear continually from Type 2s who are low carbing and getting fasting bgs well above 180 mg/dl who have never had a doctor even suggest insulin to them. So I don't see this campaign as a bad thing. The only other treatment available to IR Type 2s that isn't dangerous and reduces IR is Metformin, cutting way back on carbs and exercise. But without carb restriction exercise doesn't do much. The real tragedy is that so many Type 2s aren't diagnosed until they are way past the point where diet can control their bgs. By then the load of IR increased by extremely high blood sugars has poisoned their beta cells and they are insulin deficient. But as a Type 1, you may not realize how many Type 2s have doctors who don't do anything about fasting bgs heading towards 200 except give them Byetta or Metformin. The clinical trials for Metformin brags that Metformin lowered fbg by an average of 53 mg/dl, but when it was all done lowering, the average fbg in the group was 189 mg/dl. That is high enough to cause IR and to make people go blind. There is no ideal solution for many Type 2s, but step one has to be to get those fbgs down to a level that doesn't ramp up IR hugely. Sadly, many family practitioners are woefully out-of-date on their knowledge of issues related to diabetes (all types), and some have not had CME (continuing medical education) credits related to diabetes in over a decade. Many patients mistakenly assume their doctors' knowledge is current. I also think the fasting glucose number tends to be overlooked because many doctors mistakenly use the A1C as a surrogate for glycemic control. The A1C should be seen as one tool among many others in terms of assessing treatment options. Perhaps the biggest tragedy is the shortage (which is likely to grow worse) of endocrinology specialists as well as qualified CDE's. Many patients must wait over a month to see either (if they can find one at all), so by default, end up seeing a general practitioner who is not up-to-date in their knowledge of the condition. I cannot help but wonder what the Department of Health and Human Services is even doing to address all of these issues? They should be recommending annual CDE credits in endocrinology and diabetes for all general practitioners, especially with the growth in patients, but instead, many receive training updates in cardiovascular disease, pediatrics, mental health or other ailments while assuming their training in diabetes from a decade ago is sufficient -- its not! Patients can ask, but many do not know enough to ask when their last endocrinology CME credits were. C-peptide can be misleading for the kind of secretory defect quite a few people diagnosed as Type 2 have. My fasting C-peptide is normal because I secrete basal insulin. But my beta cells don't respond to rising blood sugars, so I need insulin for meals, or I will see bgs way over 250 mg/dl. This is typical of HNF4-a defects. Also, the problem with the CDE program is that the requirements to be a CDE make it tough for someone to qualify. I doubt if there are more than 2 or 3 CDEs in my whole rural region. I've never run into one. And the program is structured so that people with the CDE appear to be educated in the older "eat the low fat diet, with lots of carbs" ADA line. At least around here. And as Dr. Bernstein pointed out recently, the way insurers and medicare reimuburse, an M.D. can't be reimbursed for providing diabetes education! That is criminal.